The Literal and Free Dual Translation compared in two columns on one page. 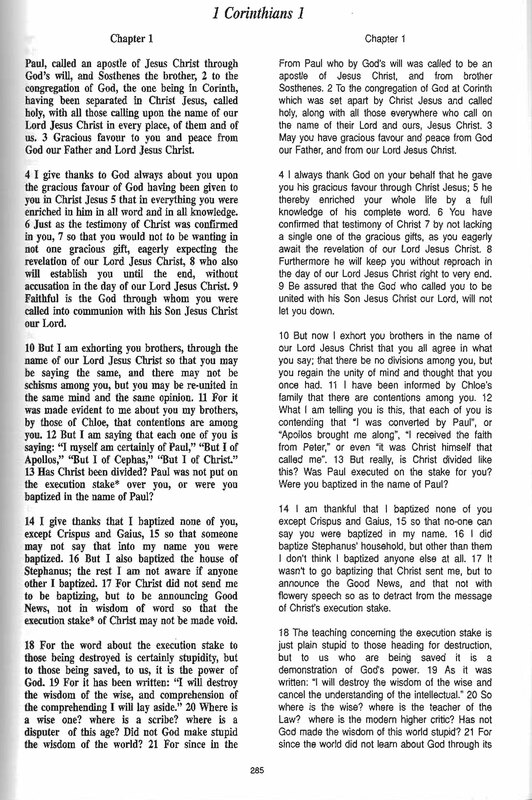 See also Gems from the New Testament a small paper back that is packed with little gems form the new Testament. By Bro Vivien Caple who also translated the 21st Century Bible. 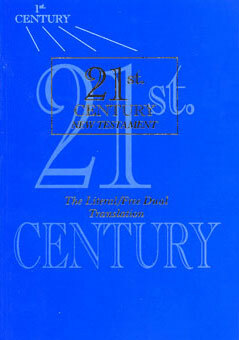 1998, Insight Press, Bristol, England, 491 pages in two columns, paperback, 21 x 14.5cm. 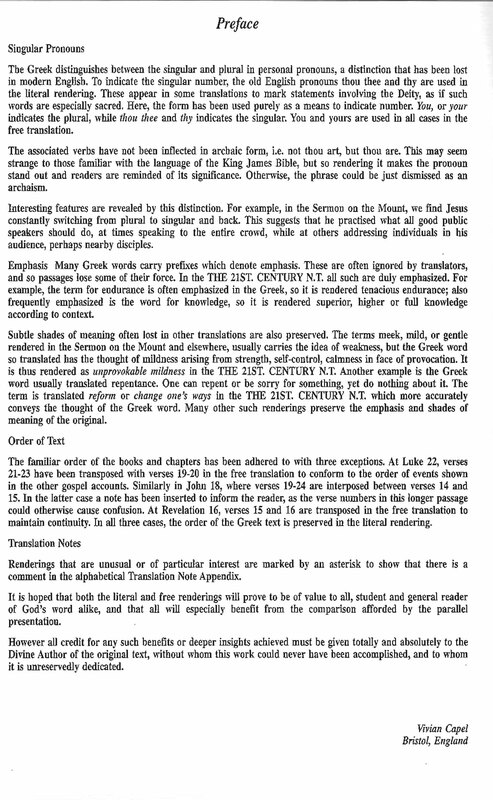 This unique translation has been produced to give students and all lovers of God’s word a more accurate literal account of the ancient texts, with an accompanying easy-to-read free rendering in the modern idiom. 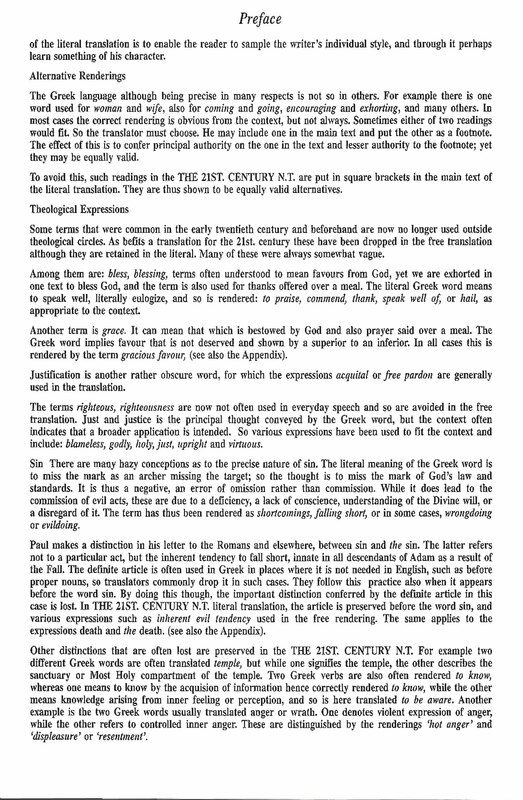 This enables a study of the literal meanings of the original text to be combined with a reading in modern English. 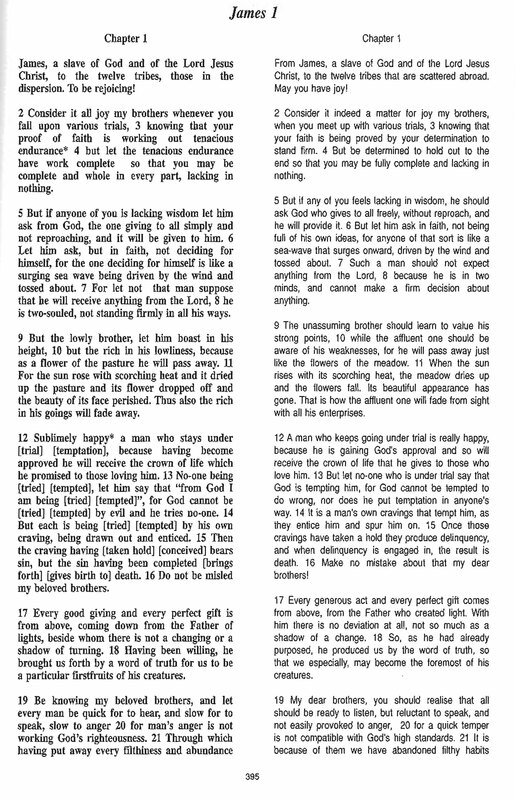 Two columns of text give the reader a parallel view of the literal translation on one side and a free translation of the same verse on the other side. 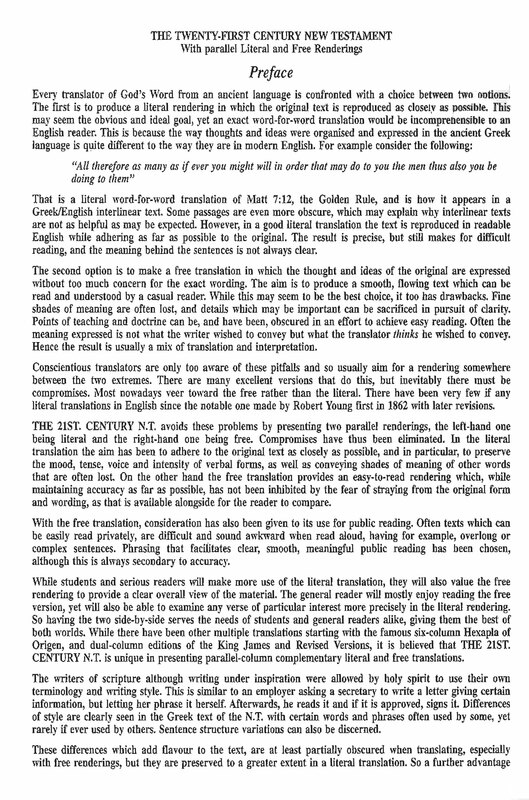 In parallel, the idiomatic, free rendering in the right hand column provides a translation which, while maintaining accuracy as far as possible, has not been inhibited by the fear of straying from the original form and wording – as that is available alongside for the reader to compare. Here ‘Jehovah’ is used for occurrences of the divine name. Includes 41 pages of Translation Notes. “I and many of my friends have thoroughly enjoyed [Vivian Capel’s] translation which contains many gems thus expanding our understanding of many texts”. Following brother Vivian Capel’s sudden and sad death we purchased the remaining stocks of his excellent translation and are offering them at a considerably reduced price. these are last copies left to be printed and will not be printed again so at this price its worth taking advantage of a bargain.